It's Paris Games Week (because every city needs a games conference now) and Sony is there showing off some already announced titles, as well as a few new ones. Like Wonderstrucks' new IP, Boundless. 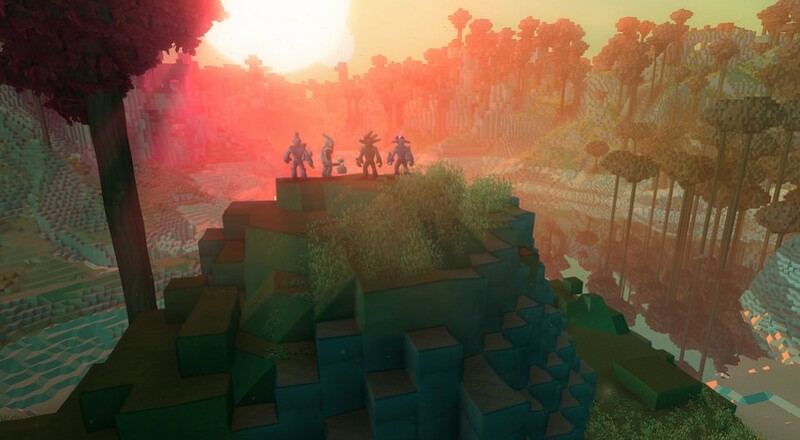 From what little they showed off, it looks like a sandbox adventure game in a similar vein as Minecraft or Starbound. Aside from the preview trailer (see below), there aren't a whole lot of details about what all the action of the game entails. The developers put up a post on the European PS Blog that talks a little about things here and there, but those are more broad strokes than minute-to-minute gameplay. Still, there are a couple of ideas, like the massive Titan from which you can harvest resources and being able to transition to new worlds via portals, that look interesting enough to make it stand out from other titles in this genre. It also appears the game will pull in mechanics from some MMOs, like EVE Online, where you can do more than just build voxel contraptions; you can become a merchant or a craftsman-for-hire. As with many of these types of games, you can team up with friends to build and destroy. No firm details about the co-op, but it appears that at least four player co-op is supported. While the title is a PlayStation 4 console exclusive, it will also be released on PC and will allow for cross-platform play between the two. Page created in 1.6460 seconds.